50% OFF! 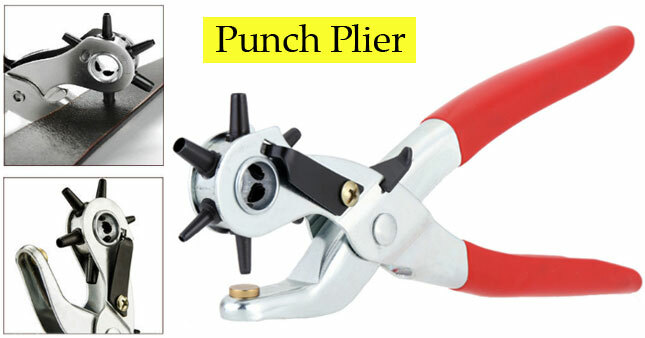 Punch Plier worth Rs. 900 for just Rs. 450! Ideal for making holes on watchband, belts, gaskets, leather, canvas, textiles and soft materials. Ergonomical rubber handle and anti-slip grip allow you comfortably punching over long time. The required size can easily be centered on punch by revolving the spring loaded head. Revolving head for punching six different hole sizes are 2mm, 2.5mm, 3mm, 3.5mm, 4mm, 4.5mm. Note: If the object tis too thin, please put a cardboard under the leather when punching. Voucher is valid only for one Punch Plier.